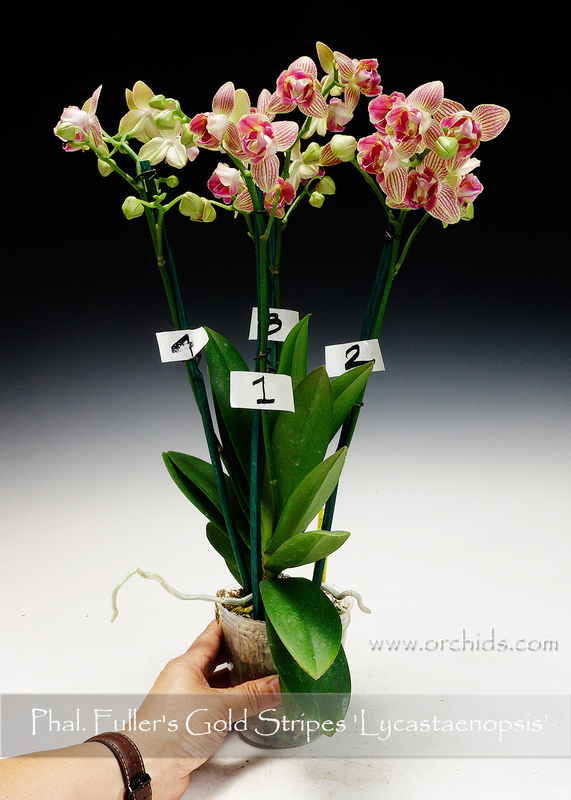 A charming clonal drift from a mericlone population of Phal. 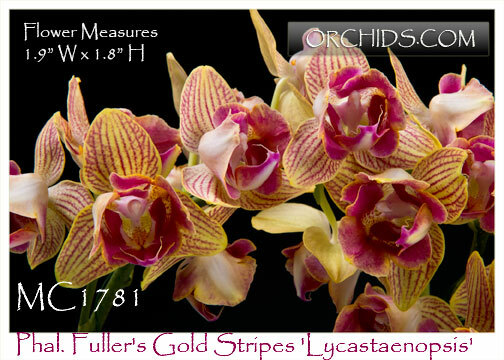 Fuller’s Gold Stripes ! 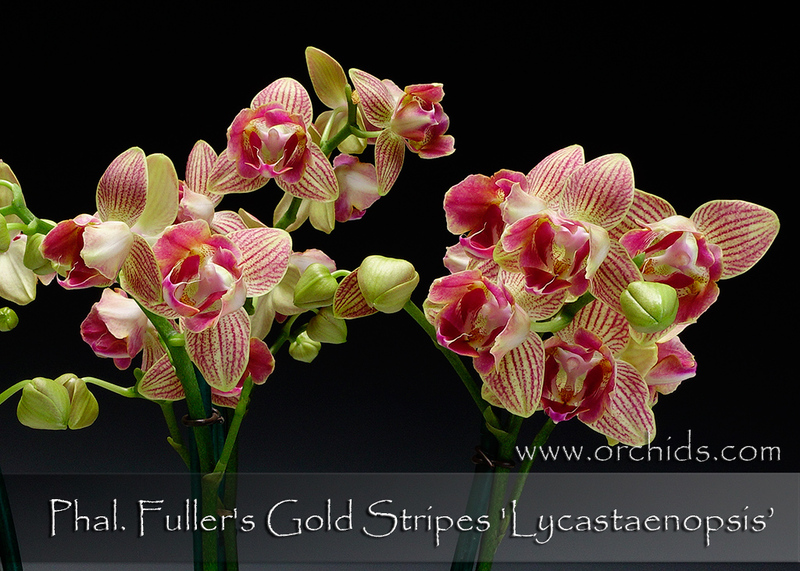 Carrying the same bright golden-yellow flowers with ruby candy stripes, this particular clone has produced petals that are trying to mimic the lip, reminiscent of Lycaste flowers. A great conversation piece and one that will intrigue any and all who see it !